The Cholmondeley Pageant of Power will offer a host of high-octane, high-decibel attractions and features. Early-bird tickets are on sale now, offering discounts of up to 26 per cent for those booking before the end of March. Adult day tickets are available from just £20 (Friday Preview Day), with a ticket to see all the best action on Saturday or Sunday now just £26 - a 26 per cent reduction compared to buying tickets on the day. With under-16s tickets also currently available free of charge, the Pageant of Power promises fun for all the family at highly attractive prices. Now in its sixth year, the 2013 Pageant will take place on the Cholmondeley Estate in Cheshire from 14 to 16 June, celebrating power and performance in its many forms. A full event schedule and list of participants will be announced over the coming weeks and the Pageant's organisers are set to reveal some exciting new features for 2013 - including track-based supercar battles and 'noise-off' competitions between different entrants. 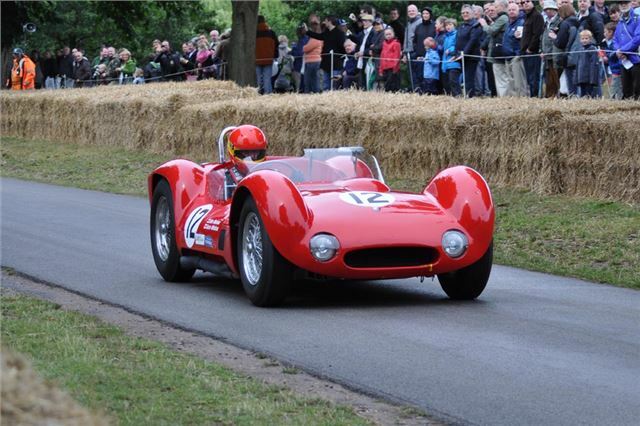 The 2013 Cholmondeley Pageant of Power will be open to the public from 14 to 16 June at Cholmondeley Castle, Malpas, Cheshire. It was awarded Best Tourist Event in Cheshire in 2010 and runner-up in 2011. Gates open at 8.00am every day, and, until 1 April, adult tickets start at just £26 with children entering free. Adult tickets for the fireworks concert event on Saturday 15 June start at £22, while child tickets start at £5. James Hall, Event Director for the Cholmondeley Pageant of Power, said: "The idea behind the Pageant is simple - to create the UK's most thrilling day out and to ensure admission prices are incredible value. This year the Pageant will be bigger, better and louder, consolidating its reputation as a must-attend event."